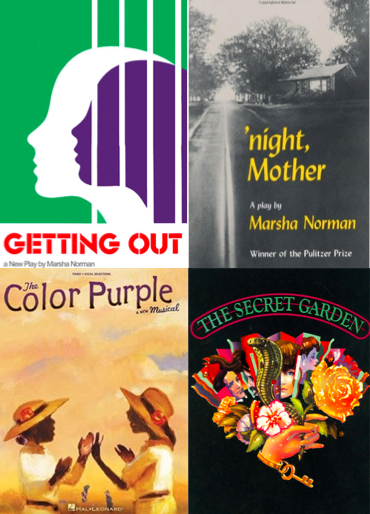 Marsha Norman is the winner of the 1983 Pulitzer Prize, Blackburn Prize, Hull-Warriner, and Drama Desk Awards for her play ‘NIGHT, MOTHER. In l992 she won a Tony Award and a Drama Desk Award for her book for the Broadway musical, THE SECRET GARDEN. She also wrote the book for the Broadway musical, The Color Purple; she received a Tony nomination for the original production, and a Tony Aware for the 2016 Revival. Her play the Master Butcher’s Singing Club, premiered at the Guthrie Theatre in the fall of 2010. She won a Peabody Award for her writing on the HBO television series, IN TREATMENT, starring Gabriel Byrne and Dianne Wiest. Her most recent work is the adaptation of THE TRUMPET OF THE SWAN: A NOVEL SYMPHONY FOR ACTORS AND ORCHESTRA, with music conducted and written by Jason Robert Brown. The CD has been released by TRW and PS Classics. Her television and film credits include ‘NIGHT, MOTHER, starring Sissy Spacek and Anne Bancroft, THE LAUNDROMAT, starring Carol Burnett and Amy Madigan; THE POOL HALL, starring James Earl Jones; FACE OF A STRANGER starring Gena Rowlands and Tyne Daley; COOLER CLIMATE, starring Sally Field and Judy Davis; AUDREY HEPBURN, CUSTODY OF THE HEART, and most recently, SAMANTHA, AN AMERICAN GIRL. She spent one year as Co-Executive Producer of LAW AND ORDER:CRIMINAL INTENT, and wrote the Gina episodes of Season 2 of HBO’s In Treatment. The Trumpet of the Swan: A Novel symphony for actors and orchestra, written by Jason Robert Brown and Marsha Norman, was released by TRW and PS Classics on June 22, 2011. Her other published work includes Four Plays, Collected Works Of Marsha Norman, Vol 1, and a novel, The Fortune Teller. She has Grammy and Emmy nominations, as well as grants and awards from among others, the National Endowment for the Arts, the Rockefeller Foundation, and the American Academy and Institute of Arts and Letters. She has won the Margo Jones Award, and the Sidney Kingsley Award and the Lifetime Achievement Award from the Guild Hall Academy of Arts and Letters. 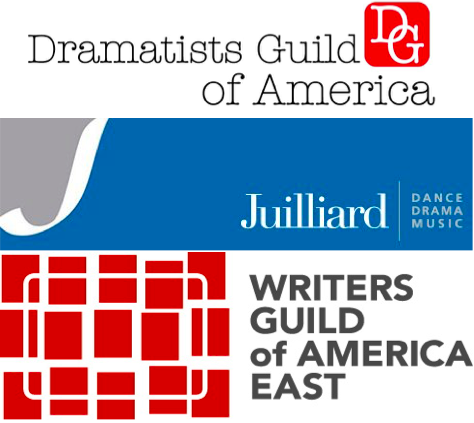 Ms. Norman is Co-Chair, with Christopher Durang, of the Playwriting Department of The Juilliard School. She writes and lectures frequently on the theatre and has 18 honorary degrees from American colleges and Universities. She was elected to membership in the Fellowship of Southern Writers and serves on the Governing Board of the Susan Smith Blackburn Prize. She sat on the Board Trustees of Agnes Scott College from 2001 – 2011, and was the Chair of the Academic Affairs committee from 2008 – 2011. She is a former Vice-President of the Dramatists Guild of America. She is a native of Kentucky and currently lives in New York. Most recently, she received the William Inge Distinguished Lifetime Achievement in Theatre Award, and the Career Achievement Award from the Dramatists Guild of America. In 2016, Marsha Norman was inducted into The Theatre Hall of Fame.